Visiting England was an unexpected treat for us. My husband had to go for a business trip and I got to tag along. 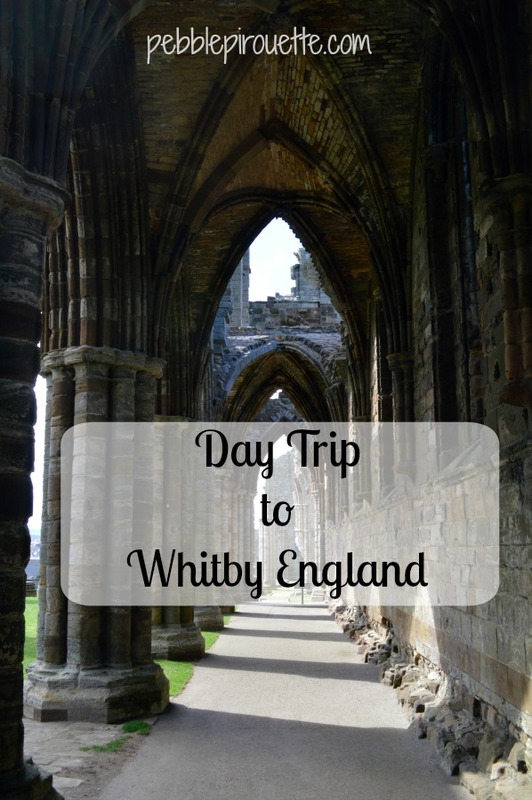 One of the weekends, we decided to go on a day trip to Whitby England. It was a delightful day that we enjoyed so much. Our day trip to Whitby England started in Selby, with what should have been a drive of under 90 minutes. Unfortunately, this was not to be, as traffic was horrible that day. Big bummer, but we still had enough time to explore and enjoy the trip. Driving through the English countryside is a treat, even in bad traffic. We entered Whitby down the windy road, into the town. As I said, it was a very nice drive. 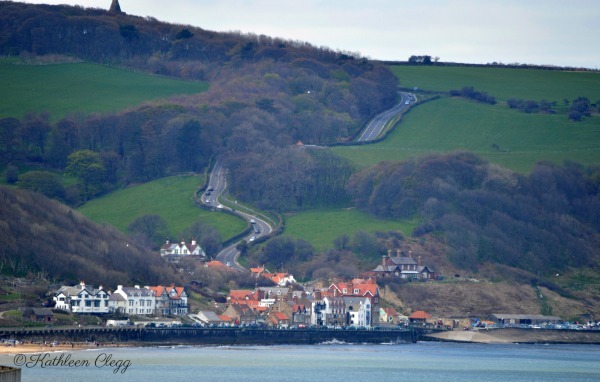 The old homes are lovely to look at, as is the bay that Whitby sits on. 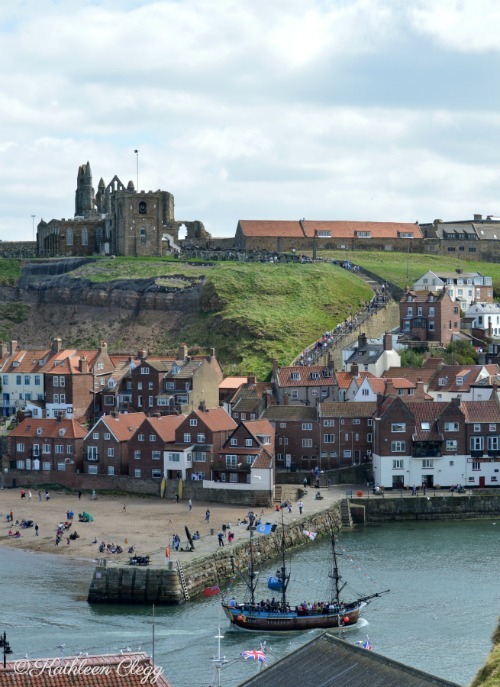 Whitby was first established in 656 AD, at the Whitby Abbey site, up on a hill above what is now the village. There are 199 stairs that lead down to the village and homes that date back to 1370. You will find views from the top and the bottom to be breathtaking and interesting at the same time. Wander through the village to find small shops and restaurants. Of course, you’re in England and on the coast, so grab some fish and chips at one of the many restaurants. I think my husband had that for almost every meal over the month. 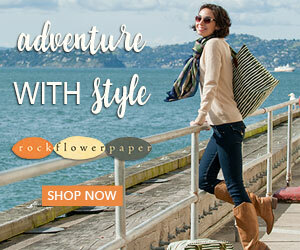 Watch the boats go in and out of the harbor, both pleasure boats and tourist ships. You will also see people enjoying the beach right in town by the pier. 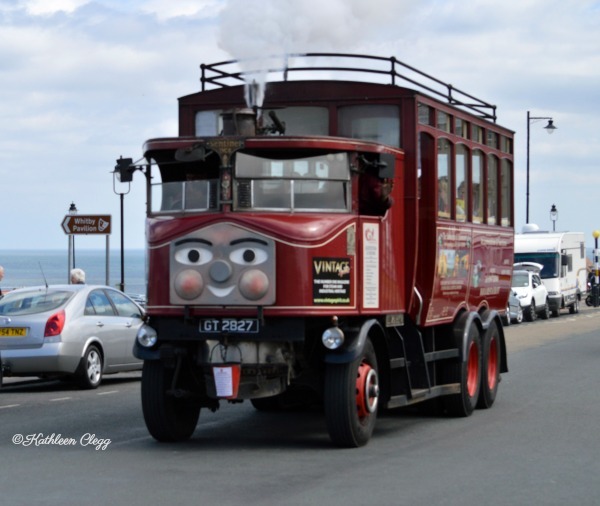 Hop aboard this fun bus for a trip around Whitby. The kids are sure to love it! 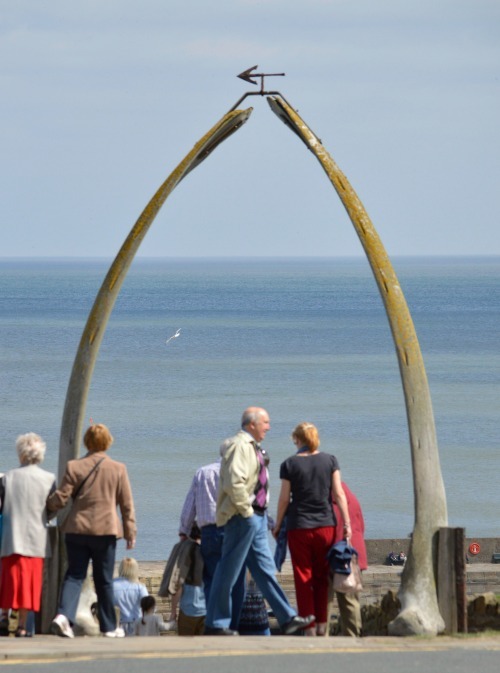 It was quite busy that day, but I think taking a photo under the whale bone arch would be a fun souvenir to have of your time in Whitby. 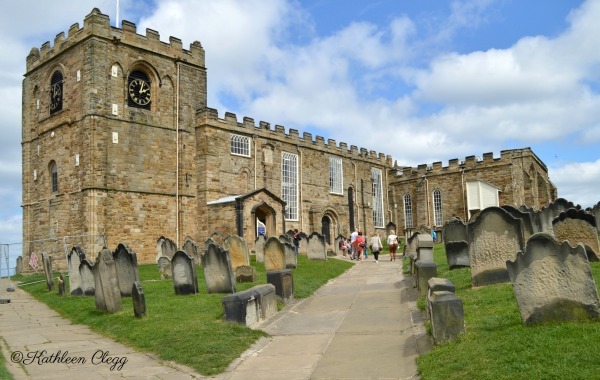 At the top of the 199 steps, you will find the Church of St Mary the Virgin. 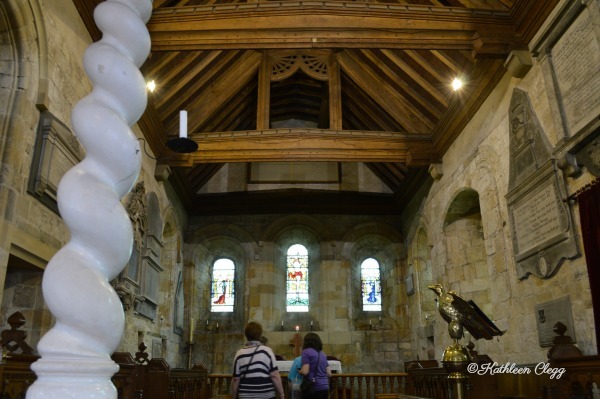 This church is dated from the 12th century. 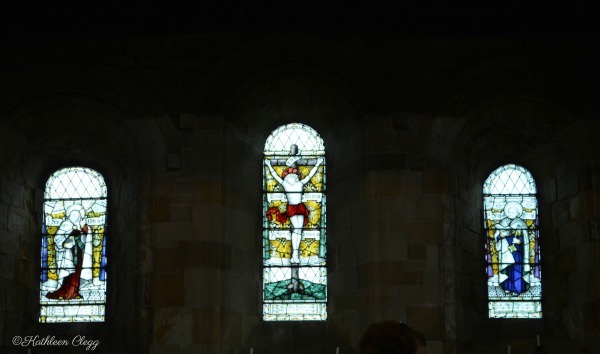 It is free to go inside and see the stain glass windows and marvel at the stone work and beams inside. However, they do take donations to help cover the cost of their ministry. Outside the church sits a very old cemetery. The cemetery has graves that date from 1862 until 1907. Some of the headstones tilt a little to the side and they are very weathered. 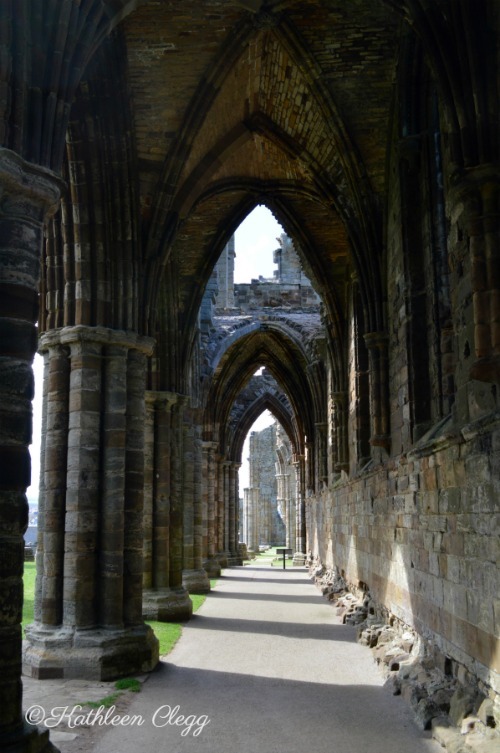 The Whitby Abbey was once a Benedictine Monastery built in the 11th century. It sits on the site of what was a much earlier monastery, which dates to 657. 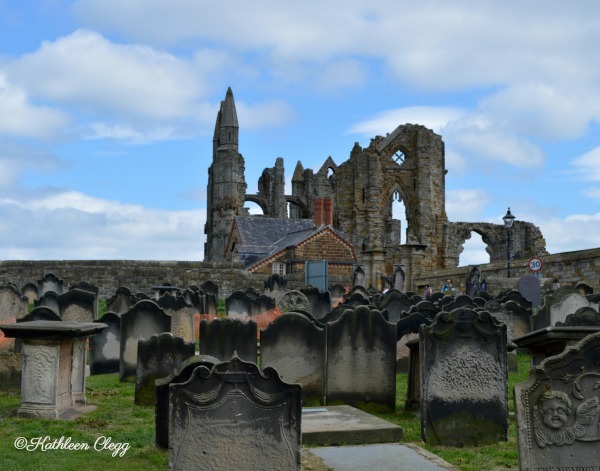 The Whitby Abbey is where Bram Stoker got the vision for his novel Dracula when he visited Whitby on holiday. He also obtained the names of some that died in his novel from the cemetery at the Church of St Mary the Virgin. Did you know that Dracula was actually written as a play first and was not successful. It was then that it became a novel. Walking through the ruins was interesting in itself. The halls and walls have so many stories to tell. I’m always so fascinated by the workmanship of those who built places like this without modern equipment or engineering. The views and beach of Whitby are quite pretty. This land, which is opposite the hill that the Abbey sits on, is quite striking, with it’s dramatic cliffs. On the beach are all of these colorful shacks. They are fairly small. From what we could gather, you can rent them and have a place for your family and friends to store their things, make a kitchen, whatever you like for the time you are there. We saw a few occupied that had them decorated nicely. 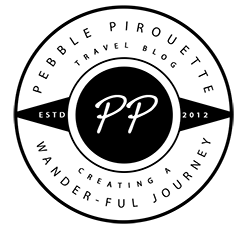 I looked around online and couldn’t figure out how to actually rent them though. To get down to the beach from the road, there is a very long walkway that takes you right there. It is paved, so it’s an easy walk. 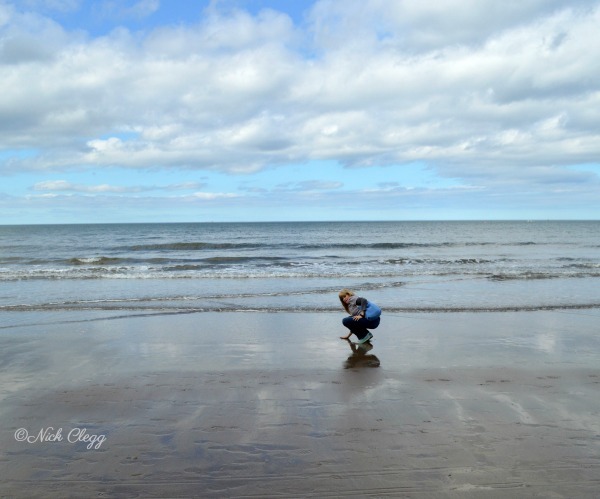 As with every new body of water I visit, I have to touch the water. My dad has done this all over the world and I thought it was a pretty neat tradition, so now I do it too. Yes, I’m a copy cat. He knows, so I think it’s okay. 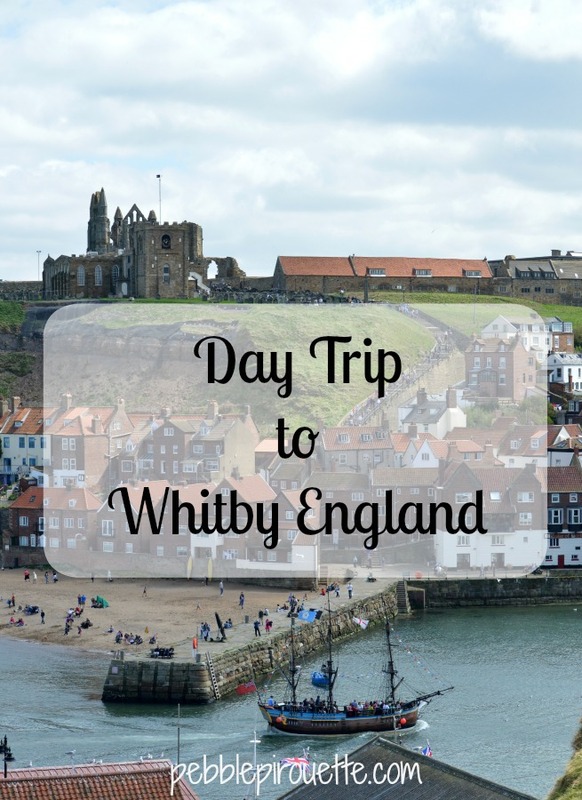 That is our day trip to Whitby England. It was a lovely day exploring someplace new and charming. 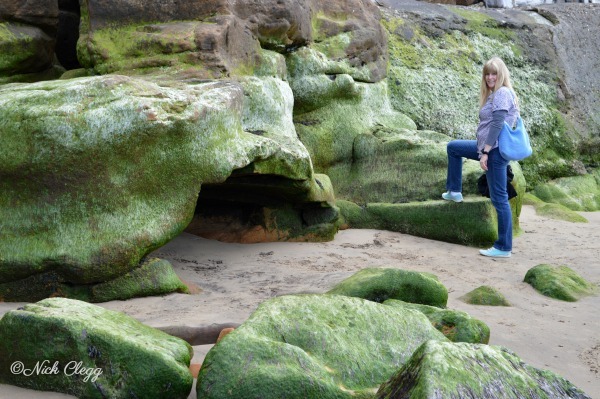 During our month in England, I found that they have many places that are delightful to visit. 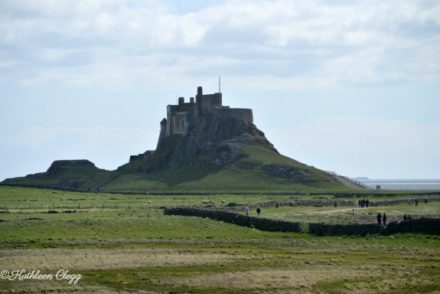 If you’re in England, in addition to Whitby, be sure to visit Castleton and Holy Island. They are both wonderful places to see. I’m glad for the opportunity. Love the green hills leading into town. The abbey, village and harbor look like great places to spend an afternoon wandering around. The connection to Bram Stoker is interesting. It really was a great place to wander around. We parked in one place and just walked everywhere, including up the 199 steps. I’m planning on visiting England this year and this would be a great place to visit. How interesting that the names from the cemetery here were used in Dracula. I also had no idea that it was a play at first before it became a novel. We really liked this little town. It also gave us a whole different view of Dracula, although I haven’t actually read it yet. It was an interesting place. Hmmm….I’m surprise I’ve never heard of Whitby so far. It looks quite beautiful! 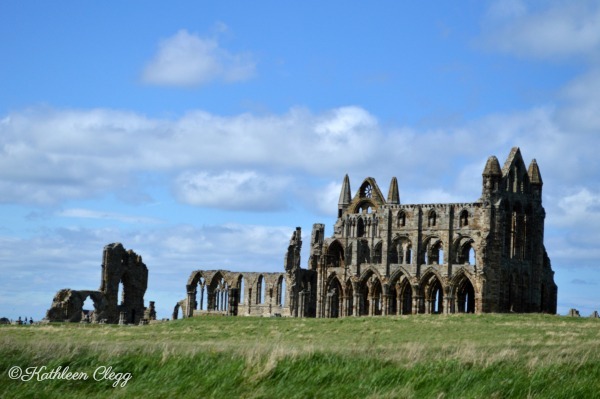 I would especially love to visit the ghostly ruins of the Whitby Abbey. Not surprised that Bram Stoker got the vision for his character, Dracula, in this place. We didn’t know it was there, but stumbled upon it. We didn’t actually plan our trip out too well because we had 2 days notice that we were going. It was a great find. What a fun trip and get away from London. Never heard of Whitby, though it looks charming and quaint. What an amazing city, rich with history. Great photo opp underneath the Whale Bones. Looks like a great place to explore. I don’t know how long it takes to get to Whitby from London, but it would be a great trip for sure. Somehow we never made it to London the month we were in England. I guess we have a good reason to return. 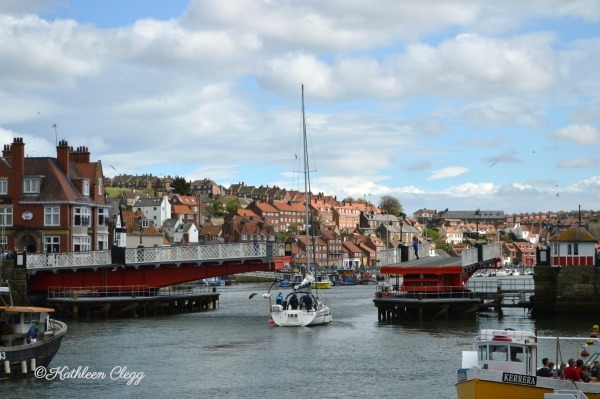 Whitby looks like a charming town with a rich history. 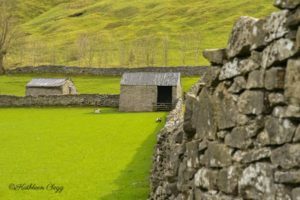 It looks like the perfect getaway from London to look at rolling hills and wander around. Whitby is such a charming town. We loved everything about it. I’m not sure about train schedules, but maybe you can catch one from London so you don’t have to drive. Thanks for introducing the town of Whitby to us. I love that set of stairs up the hill to the church. It looks like a very busy port town for boat watching. 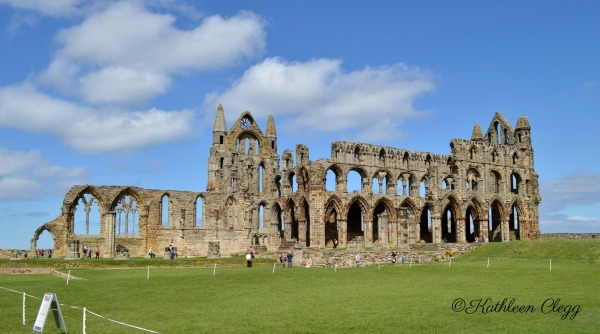 It is fascinating to see just the shell of the Whitby Abbey. Fascinating that this was the inspiration for Dracula. Such a cute town to visit one day. I enjoyed watching the boats and exploring all of it. Dracula was a surprise to us. Wow!! Thought I was transported to another time with your photos!! Very classic place and would love to visit in the future! Thank you very much. I hope you’re able to go. What a lovely little town to visit. I’m looking at my map right now to see if we can fit it in on our UK trip this summer. I just love old architecture and country roads. 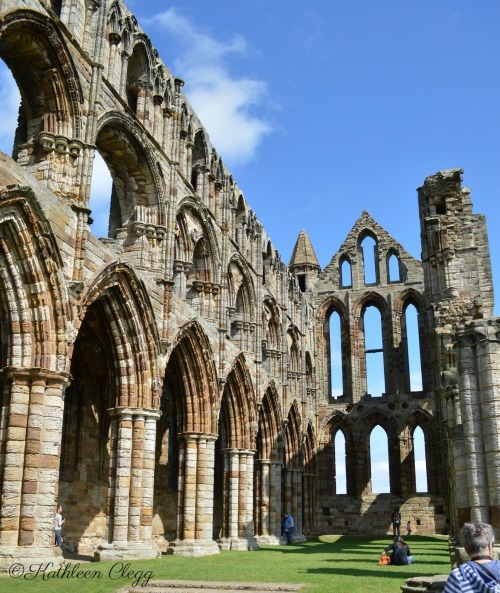 The Abbey ruins would be amazing to wander through, and the views of the seaside cliffs are amazing! Oh, I hope you can. It is such a lovely place. I recommend you look at my other posts on England because we found some really great gems. 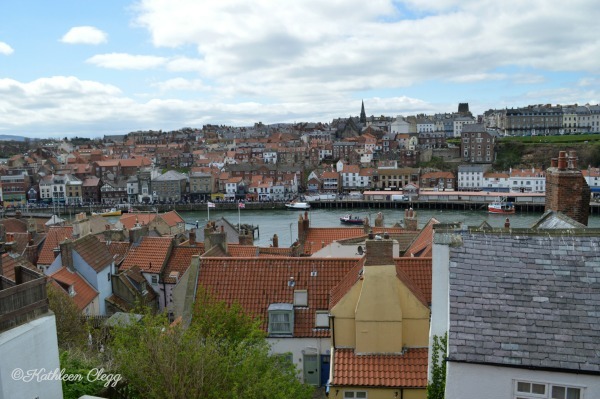 I enjoyed reading about the history of Whitby in England. 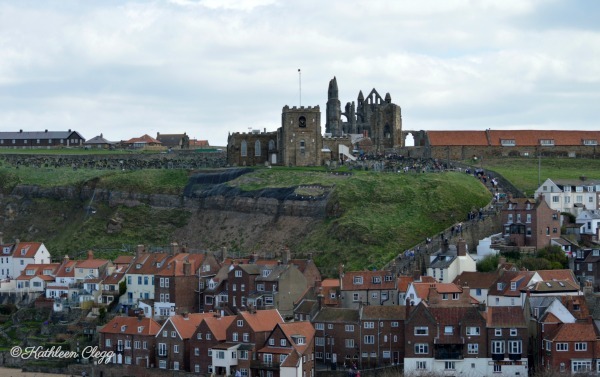 I’d enjoy the view from the top of the steps to the Whitby Abbey site, it would be beautiful. 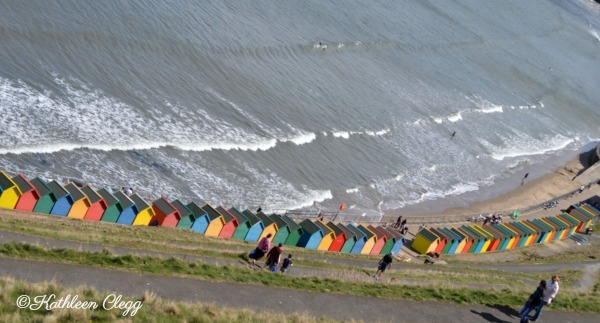 As are all of the colorful shacks along the coastline – so fun and pretty! And useful too for storing beach supplies if you live there. I’m glad you enjoyed reading Whitby post. It was such a lovely place. I’m so glad we were able to visit. 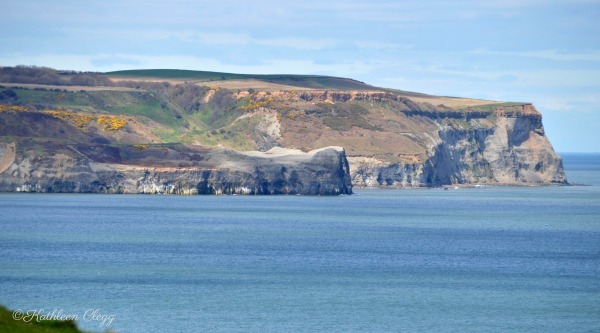 I haven’t heard of Whitby but it looks like a great day trip from London. And the whalae bone is amazing. The abbey ruins are beautiful as well. I think it would be a great trip. I don’t know about 1 day from London though. We were in Selby, left early and got back late and that’s quite a lot farther north than London.